Of the nearly four million babies born in the United States each year, approximately 150,000 are diagnosed with a birth injury or birth defect, according to statistics from the Physicians Committee for Responsible Medicine. When parents learn that their newborn has been diagnosed with a birth injury or defect, it's important that they understand the differences between these diagnoses. 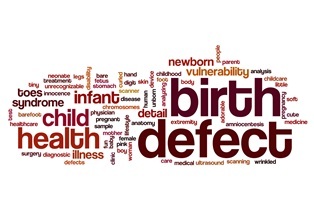 The biggest difference between birth defects and birth injuries is that birth defects aren’t normally linked to a medical mishap and are not usually legally actionable. Exceptions may include cases where a birth defect is thought to have been caused by the use of a prescription drug linked to an increased risk of birth defects. If your infant was diagnosed with a birth injury that you believe was caused by a mistake made by a doctor, nurse, or other medical professional during the labor and delivery process, you may be entitled to seek compensation. The knowledgeable birth injury attorneys with Holton Law Firm can help you explore your legal options. Contact Holton Law Firm today to schedule an appointment for a free initial case analysis.